The new sleekly designed pod system is the brand new Eleaf Elven. The Eleaf Elven pod system is has two different in flows just by putting the pod in differently in the battery! Letting you have two different vaping experiences with the Elven pod system. The Elven pod system features an easy side fill system with a leakage free system. The Elven pod system is also a button less system, just take a puff anytime and you’re good to go! The Eleaf Elven pod system is meant for nic salts, you’ll be surprised with the flavor and cloud production that this device will give off! 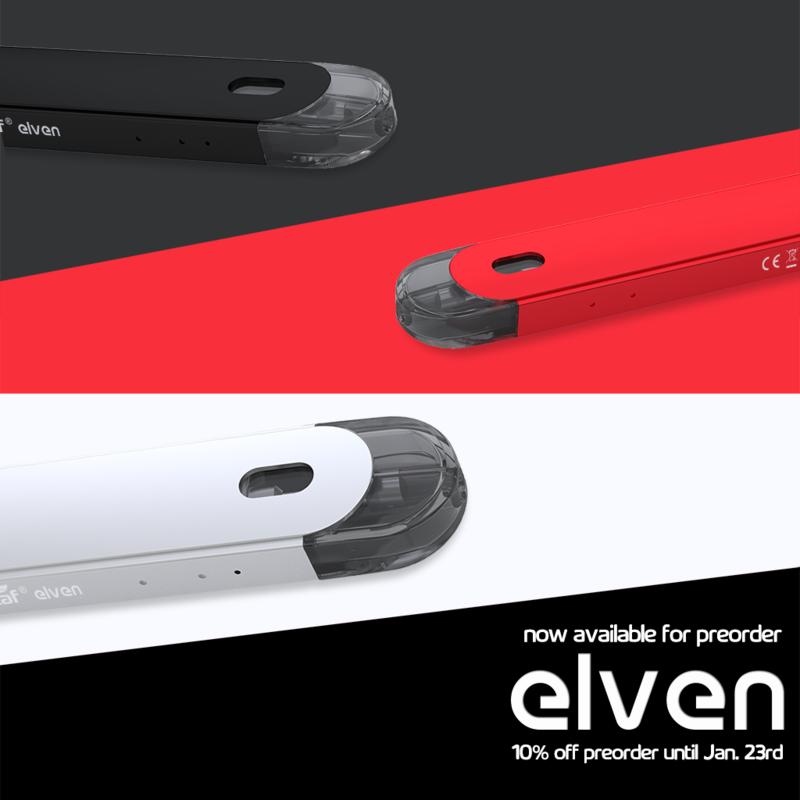 Preorder the Eleaf Elven pod system today and get 10% off. 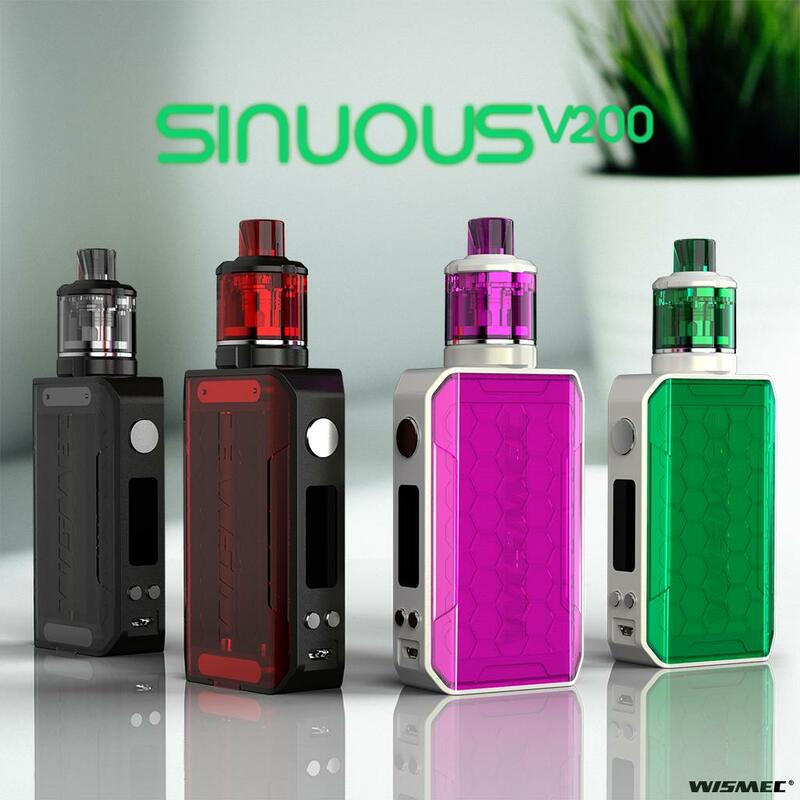 Preorder the Wismec Sinuous V200 kit today and get 10% off. The Wismec Sinuous V80 is one of the two newest additions to the Sinuous line. The Sinuous V80 is a one cell 18650 mod with a sleek and simple transparent body. The PC material that the Sinuous V80 mod is made with makes this device light to carry with excellent hand feel, not to mention the cool design of being able to see inside the device. The Wismec Sinuous V80 kit comes with the Wismec Amor NSE atomizer, which features both DL and MTL vaping letting you switch around how you want to vape the Amor NSE tank. The Wismec Amor NSE tank utilizes the new WS-M mesh coil, along with that the AMOR NSE atomizer has a retractable top filling system along with a refined airflow system. The Sinuous V80 kit makes it affordable and stylish to vape on a device like this. 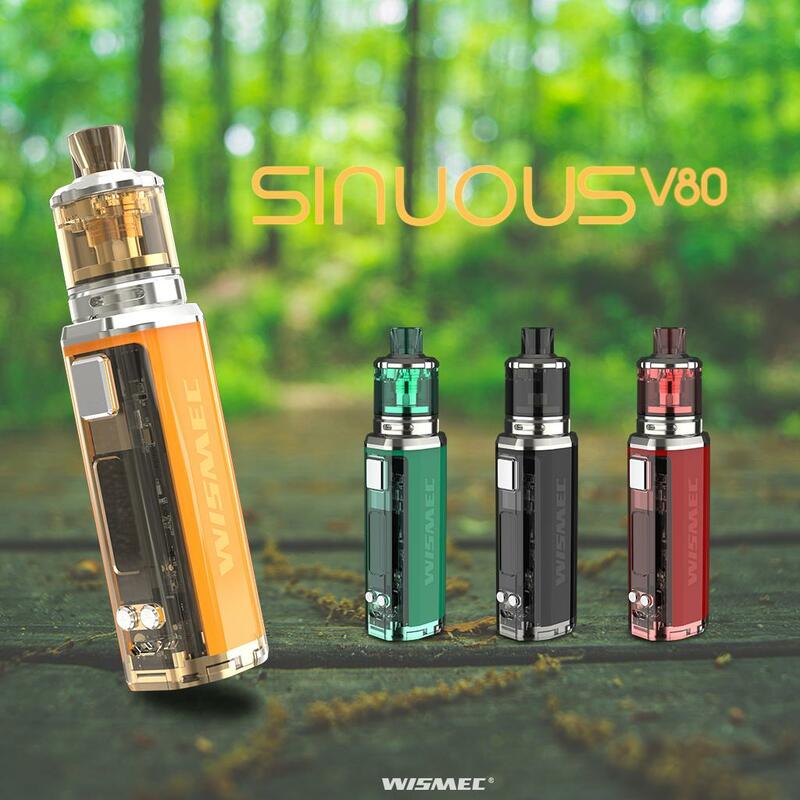 Preorder the Wismec Sinuous V80 kit today and get 10% off. The iJust is back, but with an external battery. The iJust 21700 comes with the ELLO Duro atomizer and 2 new HW coils. The Eleaf iJust 21700 kit is capable of using a 21700 or 18650 cell battery. The max wattage of the iJust 21700 kit is 80w. The Eleaf ELLO Duro tank comes with the HW-M2 coils and HW-N2 coils. The HW-M2 and HW-N2 coils that have self-clean and leak proof technology. Along with that the Eleaf ELLO Duro atomizer’s HW coils come with a new porous cotton design. With the combination of these new innovations with the Eleaf HW coil heads and the cloud chasing ELLO Duro atomizer, the Eleaf iJust 21700 mod is a tube mod that you’re going to want to experience. 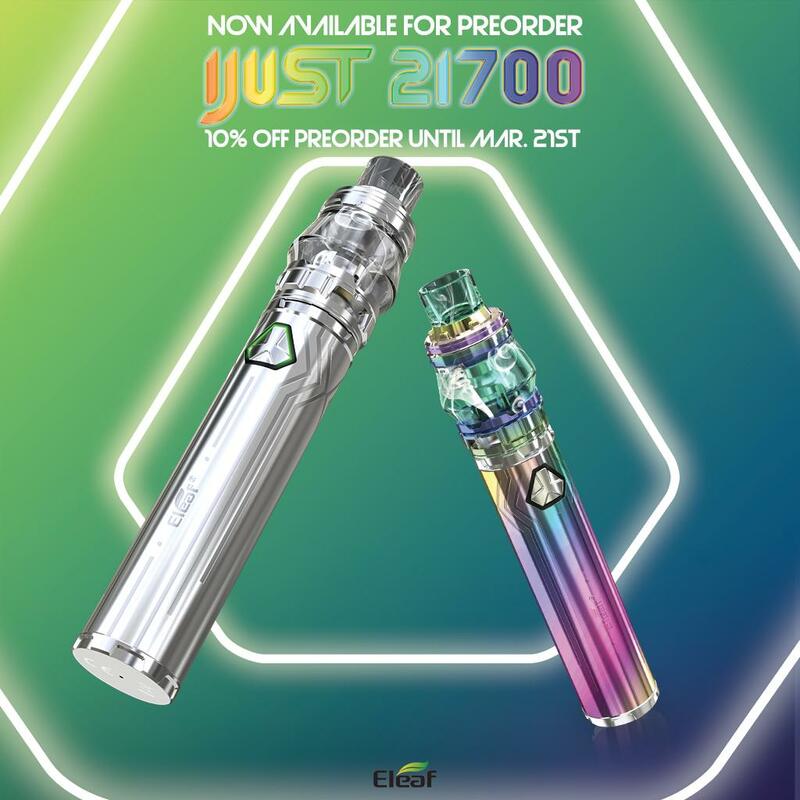 Preorder the iJust 21700 today and get 10% off!